Dr. Steven C. Chan graduated from the University of Southern California School of Dentistry and was awarded a Certificate of Merit from the American Society of Dentistry for Children. He earned his Bachelor of Science degree in Zoology from San Diego State University. He is a Life Member of the American Dental Association, the California Dental Association, and the Orange County Dental Association. Dr. Chan has owned and operated his Fountain Valley private practice for over 35 years. He enjoys treating patients of all ages and takes pride in his family-oriented dental practice. Dr. Chan has completed over 1000 hours of continuing education and continues to stay current with the newest techniques that dentistry has to offer. He has advanced training in Cosmetic and Implant Dentistry including the computerized CEREC “Single Visit Crown System”. 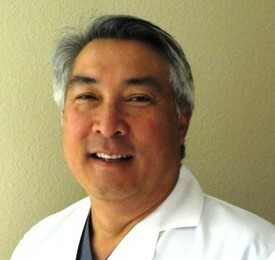 Dr. Chan is the father of two sons and has been married to his wife, Jody, for over 35 years. He enjoys playing golf, fly-fishing and USC Trojan football.